Check out Bri's Bunnies on Facebook! 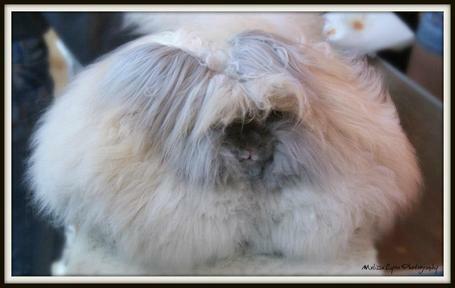 High Voltage was the first English Angora here at Bri's Bunnies. High's outstanding wool and body type can still be found in his grand kits and great-grand kits. Living in her retirement home with Wendy in PA! 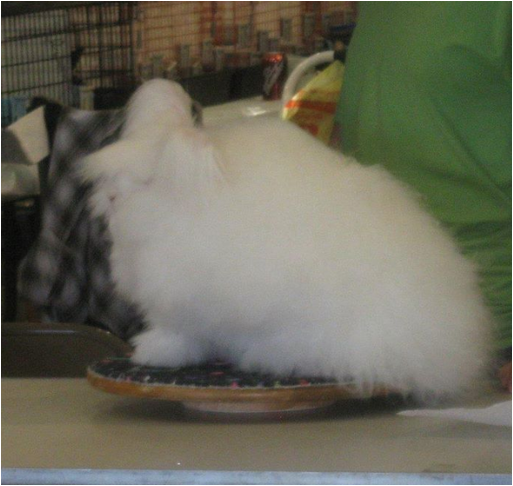 Rosalind was my first show English Angora, her 2nd show out she won my first leg, first BOB and first BIS. She was a very, very special rabbit and is greatly missed. Love you Rosalind! Living with Wendy in PA! Living with Dru Shepherd in NJ! Living with Donna McGraw in PA! Living with Lynn in Wisconsin! Orphaned at 3 weeks old, VaVa had a rough start in life...And though she never was shown she had a huge impact on our herd. We love you and miss you VaVa! We lost Nala in 2015, and she is missed immensely.